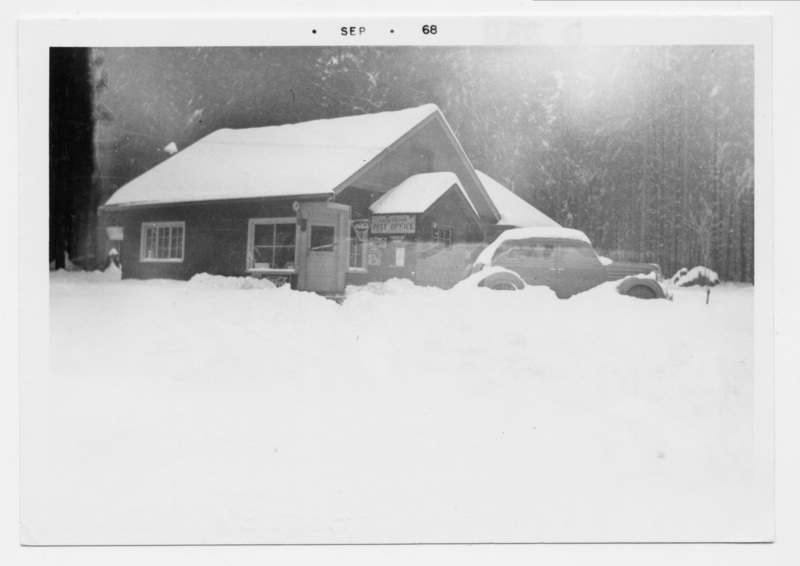 Allan's [sic] Store & Post Office, winter of Feb. 1937. [1936 crossed out.] Friends of the Library. Description On front of photo & top edge: SEP . 68. Similar photo to 528. Transcription Allan's [sic] Store & Post Office, winter of Feb. 1937. [1936 crossed out.] Friends of the Library. Physical Description H 3.5" X L 5"